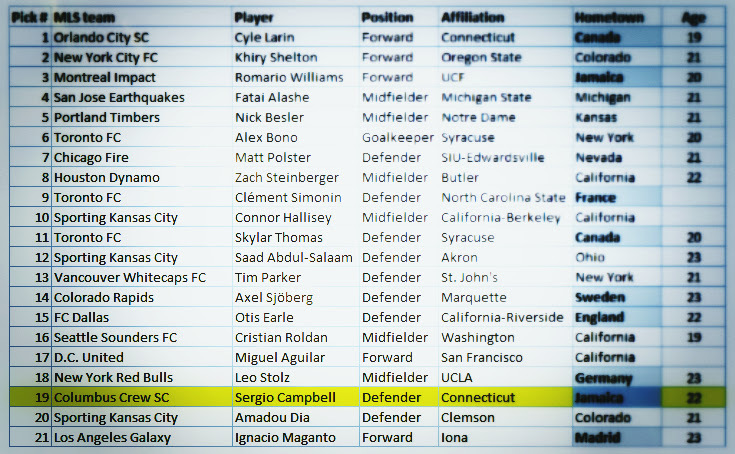 MLS "superdraft" was held midday, today. Tough to say it's ever been a highlight on the big picture domestic calendar, but this year it seemed to fade into the background even more. The league is at a sort of crossroads with this player acquisition device, as it evolves. One of the main reasons is that the league wants to see a return on investment in regards to 'homegrown' talent (of which Crew SC once lead, but Berhalter - rightly - put an end to), which runs sort of counter to a college draft. The other reason is due to teams looking at the deep well of talent dangling out there, both in international markets and domestic, at all levels. Picking from a group of college upperclassmen is sort of a relic of a past time. A time when amateur sports were amateur and the development of a well rounded human being was the primary goal. The only place that exists in a Pure form is on the gridiron. Reason being - no international competition. NBA, NHL and MLS all have players that can compete on a pro level all over the world. The idea that a college draft in an international market could be anything more than a blip on the radar in anything but the NFL is laughable. With that, MLS, a league that touts itself as a crusader for the future, still holds a somewhat contrived upperclassman draft. And today was the day. At the top of this post is a rundown of the first round. Highlighted in yellow is Crew SC's pick. I added the blue - that's the players that are arrived from somewhere else on this big blue planet. The far right is the age of the players. Most of whom are too old to be starting a productive pro sports career. At least by global standards. 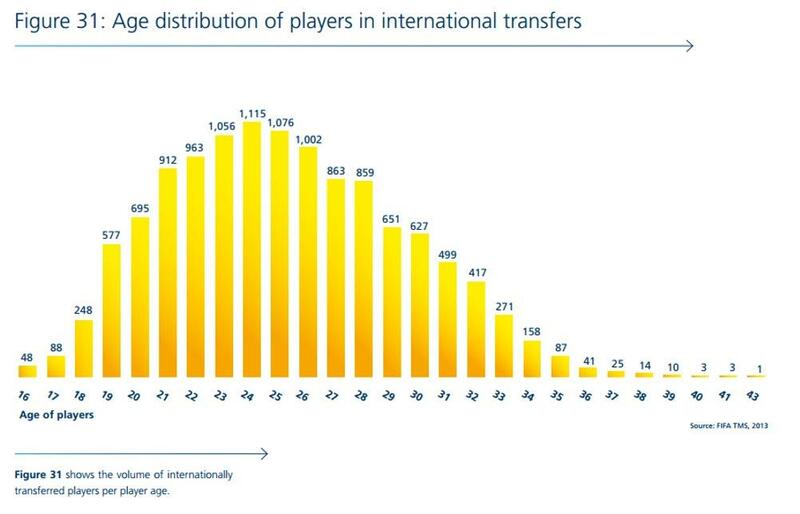 On the right is Age Distribution of Players in International Transfers via FIFA TMS. What this is telling us is when professional players are most valuable. College players in the United States don't become professional until the age of 22 or so. Global market says that is when they should be hitting their professional prime, not just starting it. File Under 2015 Columbus Crew SC, major league soccer, superdraft.